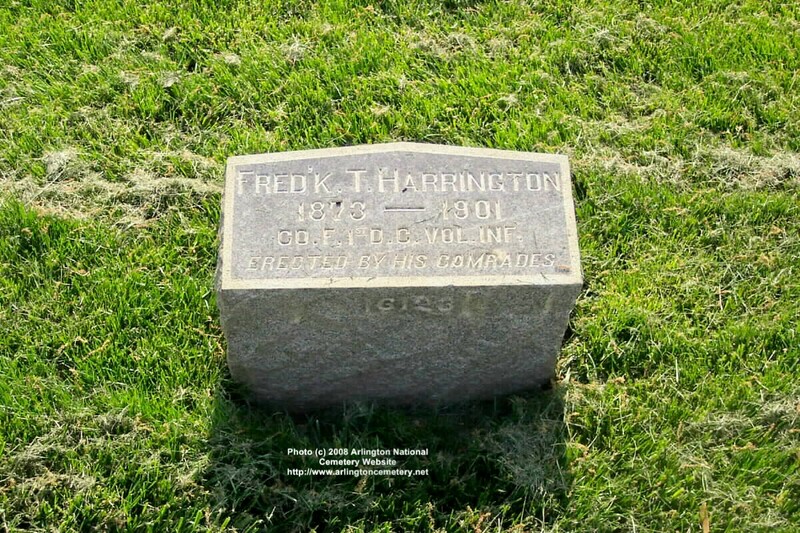 Frederick T. Harrington was born in 1873. He served as Private, Company F, First D. C. Volunteer Infantry. He died in 1901 and was buried with military honors in Arlington National Cemetery. His headstone was "errected by his comrades." We are currently seeking additional information about Private Harrington.